If you’re like me, when Battlefield Hardline was initially revealed, you were probably skeptical and a bit worried about the franchise’s future. My worry only increased as Visceral Games began to push their mantra of “Speed, Story, and Strategy,” which sounds like an empty slogan that some executive created to make the slaughter of a popular franchise more palpable. However, after following the game for months and finally participating in the beta, I can, with a reasonable amount of security, declare that Battlefield Hardline isn’t going to be Battlefield: Call of Duty. That said, the beta only showed off three maps and three game modes, so there is still plenty left to be seen. 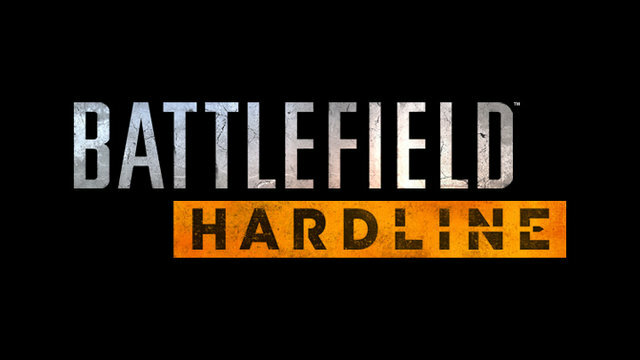 In any case, what I did manage to see left me feeling much more excited about Hardline’s prospects. Before we continue into the meat of the experience, let’s address the elephant in the room. 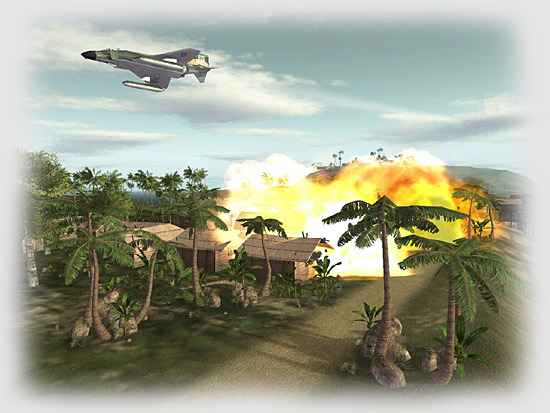 At this time, there are no jets in the game, and it’s become obvious over the months that vehicle combat is taking a slight backseat in Hardline. As it stands now, small arms fire does way too much damage to helicopters and sniper rifles with magnum rounds do insane damage to people and vehicles alike. Visceral has hinted at the possibility of jets being included at a later date and one can only hope the balancing issues will be worked out in time. So, if you play Battlefield for the vehicular combat, Hardline will be disappointing you, at least in its current incarnation. To be perfectly honest, the smaller role of vehicles in Hardline didn’t impact the gameplay or my enjoyment during the beta. The action is so fast that I can’t really imagine the chaos more vehicles would induce on the available maps. The three maps available for play were Downtown, Dust Bowl, and The Bank Job, and the three modes consisted of Conquest, Heist, and Hotwire. 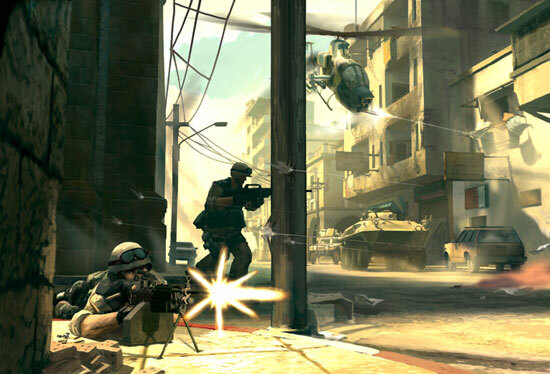 Downtown is a mid-to-large sized map which allowed for the Hotwire game mode. 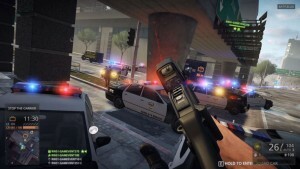 The point of Hotwire, which Visceral Games has dubbed Hardline’s “Signature Mode,” has the criminal team stealing marked cars while the cops try to stop them. In writing, this game mode sounds fun, and I was looking forward to checking it out. However, in practice, Hotwire is a bit of a letdown. Rather than having high speed car chases, which this mode simply begs to have, the matches usually devolved into an unorganized mess. As a criminal, it’s simply way too easy to rack up points by driving in circles away from combat. If the cops are too slow to get to you then you can amass a good lead doing basically nothing. On top of this, if you have a Mechanic (Hardline’s “Engineer” class) with the repair tool riding shotgun, then you can easily troll the cops for the entirety of the match. I’m hoping the disorganized nature of the game type fixes itself as more people become familiar with the mode and begin to use actual strategies. As it stands now, the point system isn’t conducive to the high speed car chase ideal that the developers clearly had in mind. Dust Bowl is a large map which has the patented Battlefield feel. While Hotwire was also available for this map, Dust Bowl is the only map that allowed for the classic Conquest mode. The large 64-player skirmishes brought back plenty of memories of previous Battlefield games. My only major problem with the map was the level of destructibility. In previous BF games, I’ve grown accustom to a nice level of destructibility in the environments, so it was very off putting when I discovered it was pretty much non-existent on this map. At one point, a sniper was pelting me with fire from an upstairs window and I couldn’t get a beat on him. So, I pulled out a grenade launcher and commenced firestorming the place. The result? A few damage decals appeared on the side of the wall and I got a sniper bullet through my face. Despite my gripes about Hotwire and Dust Bowl, I frequently found myself caught up in the action of the matches. However, as much fun as I had, neither of these modes/maps holds a candle to playing Heist on The Bank Job. In Heist matches, the Criminals must steal a stack of cash, take it to a random drop point, and then hold that point until a chopper lands. Unsurprisingly, the cops are tasked with stopping the criminals from making their get-a-way. Naturally, The Bank Job map is absolutely perfect for this game mode. The fast pace of the heists coupled with the excellent design of The Bank Job made for some of the most exhilarating matches I experienced. It’s in these matches where the faster gameplay of Hardline really shines. No doubt many will mourn the slower more tactical feel of previous iterations of the series; for better or for worse, Hardline has definitely taken on a Counter Strike feel. In fact, I found myself frequently thinking of Counter Strike over the course of my time in the beta. Hardline allows players to run faster when a pistol is drawn, the two different sides use different weapon types (at least until licenses are unlocked), and with the recent reveal of the Hostage Rescue mode, complete with perma-death for these matches, it’s obvious Visceral took some cues from CS. On top of this, the sniping in Hardline has a decidedly CS feel. However, what I found most remarkable is despite the obvious influences Counter Strike had on the development of Hardline, the game is still very much Battlefield. 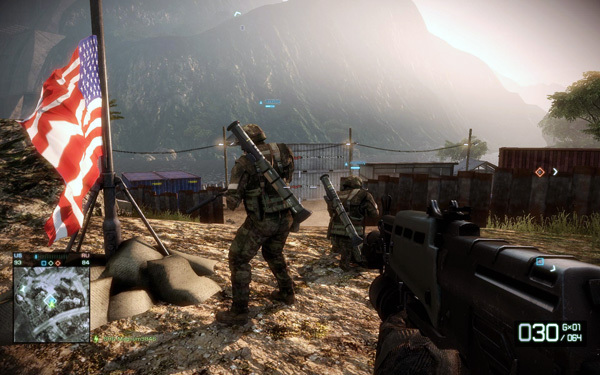 Does it handle differently from BF3 and BF4? Absolutely. But the game doesn’t suffer from the changes; in fact, it benefits from them. 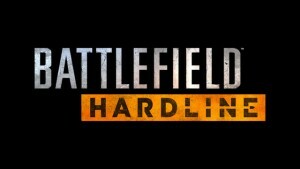 If Hardline was meant to be Battlefield 5, I would probably be less forgiving of the change in playstyle; however, it’s not BF5 and Visceral made a good call with many of the changes. After all, we already have BF4 (and a sizable BF3 population still playing), as well as Battlefront right around the corner. 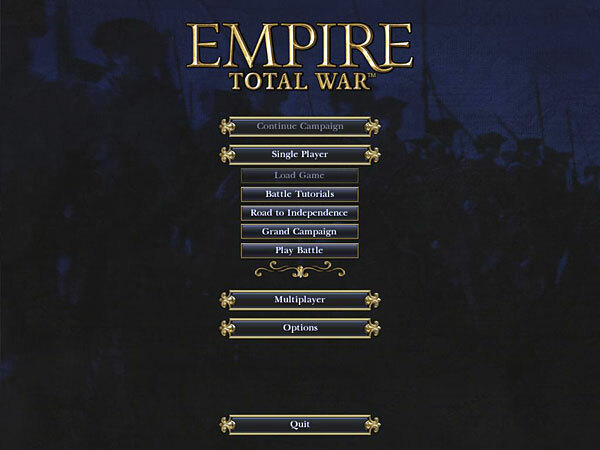 Had Visceral stuck to the typical Battlefield formula, I have a feeling players would quickly burnout and the franchise would suffer as a whole. 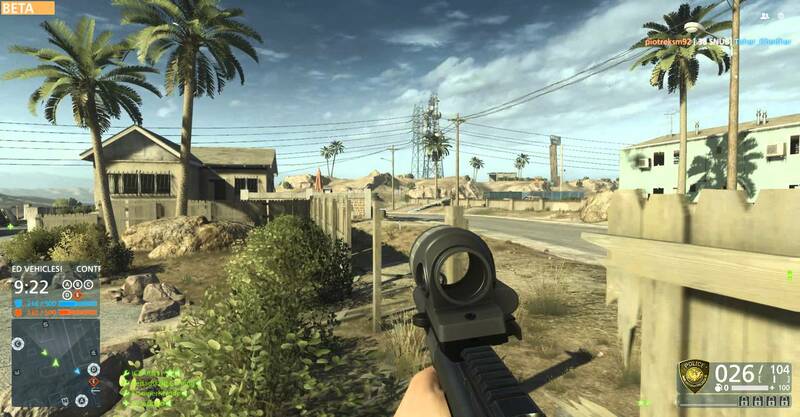 So, in short: Battlefield Hardline is not a Call of Duty clone, but it isn’t the same old Battlefield either, and despite my comparisons to Counter Strike, it isn’t quit a copy of that game. Instead, what we have is something altogether different. 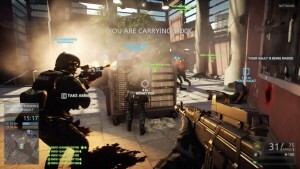 I was asked today “Is Hardline better than BF4?” and after thinking about the question, I responded, “Is Bad Company better than the main series?” There, undoubtedly, will be those Battlefield purists who strongly dislike Visceral Games’ handling of Hardline and that’s their prerogative. Me? Ultimately, I had fun, and despite the changes, I enjoyed diving back into the venerable franchise, even if the waters were slightly unfamiliar. Battlefield Hardline drops on March 17th in North America and March 19th in Europe. Are you guys going to pick it up or pass this one over?